Microsoft recently announced the Release to Manufacturing (RTM) for Windows Server 2012. 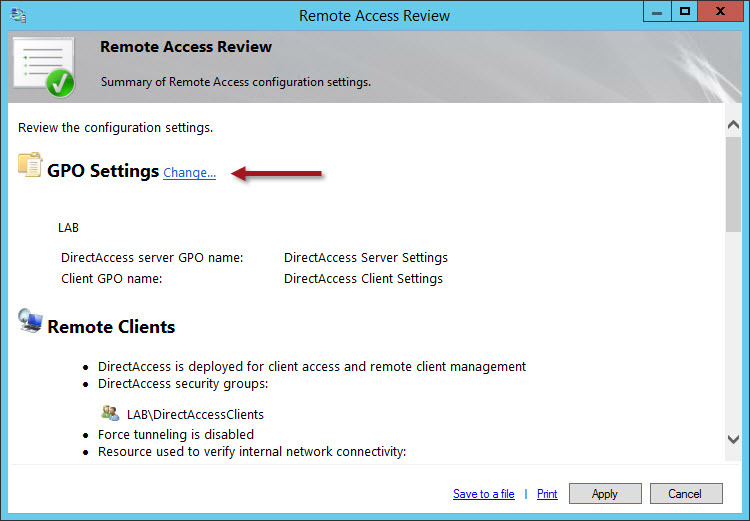 Windows Server 2012 includes a new Unified Remote Access role that provides many new and exciting features. 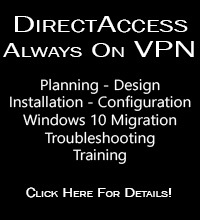 Along with significant enhancements to DirectAccess, the Routing and Remote Access Service (RRAS) can now be co-located with DirectAccess server to provide legacy remote access VPN client connectivity (PPTP, L2TP/IPsec, and SSTP) as well as site-to-site VPN. Windows Server 2012 can now serve as your consolidated remote access solution and can be managed from a single management console. Here’s an overview of some of the compelling new features found in Windows Server 2012 DirectAccess. 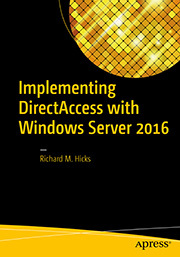 Windows Server 2012 DirectAccess includes a new simplified deployment model makes implementing DirectAccess incredibly simple. After adding the Remote Access role, configuring DirectAccess can be done, quite literally, in just three mouse clicks. The new simplified deployment model does have some limitations, so the deployment wizard includes the flexibility to fully customize the implementation according to your specific requirements. Also, DirectAccess in Windows Server 2012 now supports deployment behind an existing edge firewall or border router/NAT device. Previous versions of DirectAccess had a hard requirement to be placed directly on the network edge and have two public IPv4 addresses assigned to it. In addition, Windows Server 2012 DirectAccess now also supports a single network adapter configuration, allowing the remote access gateway to be deployed inside of an existing perimeter network or DMZ. Another significant improvement with DirectAccess in Windows Server 2012 is support for multiple network entry points for DirectAccess clients. This feature is essential for large organizations with a requirement for automatic and transparent redundancy and intelligent client roaming. To simplify deployment and management, PowerShell 3.0 included with Windows Server 2012 can be used to fully automate and manage all aspects of the Unified Remote Access and DirectAccess gateway role. Finally, Windows Server 2012 also supports Offline Domain Join which allows administrators to join computers to the domain without having corporate network connectivity. A major limitation to DirectAccess in Windows Server 2008 R2 was the requirement for running IPv6 on the internal corporate network. As a workaround, Forefront Unified Access Gateway (UAG) 2010 could be deployed in the DirectAccess gateway role as it included protocol translators (DNS64 and NAT64) which allowed DirectAccess clients to communicate with intranet resources that were running only IPv4. However, deploying Forefront UAG added expense and complexity to the solution. Forefront UAG 2010 is no longer required to support this scenario, as the DNS64 and NAT64 protocol translators are now included in Windows Server 2012 DirectAccess. The new simplified deployment model eliminates the requirement for a Public Key Infrastructure (PKI), although certificates are still required for authentication so self-signed certificates are employed. A PKI is still the recommended and preferred way to implement certificates, and in fact a PKI is a requirement in certain deployment scenarios, such as when forced tunneling is configured, or when strong authentication or Network Access Protection integration is required. The Microsoft core networking team did a tremendous job addressing the performance and scalability limitations of previous iterations of DirectAccess. A common complaint from those who have deployed earlier versions of DirectAccess was the performance of the IP-HTTPS transition protocol. In a nutshell, a DirectAccess client would fall back to using IP-HTTPS for DirectAccess communication when it was located behind a NAT device that was also preventing outbound UDP 3544. When this occurred, IPsec encrypted tunnels would then be encrypted again with SSL/TLS. This placed heavy demands on both the client and server side of the tunnel and severely reduced performance and limited scalability. In Windows Server 2012 DirectAccess, IP-HTTPS performance is on par with that of Teredo, as IP-HTTPS now uses null encryption for DirectAccess communication, eliminating the redundant and needless double encryption. With the simplified deployment scenario, only a single IPsec tunnel is required for DirectAccess corporate network connectivity. Requiring just one IPsec tunnel for each client reduces the processing load on the DirectAccess gateway significantly in large scale deployments. In terms of reliability, true high availability is now included with DirectAccess in Windows Server 2012 with the inclusion of Network Load Balancing (NLB) support for DirectAccess gateways. NLB provides efficient active/active clustering capabilities that offer more flexible scalability than using failover clustering in previous DirectAccess releases. 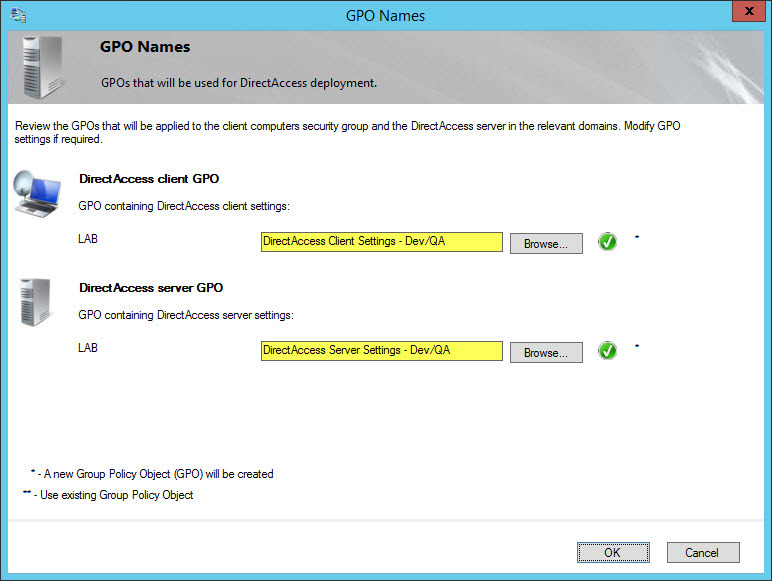 DirectAccess in Windows Server 2012 includes additional security options. 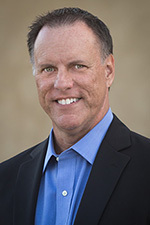 DirectAccess now natively supports strong authentication using RADIUS One-Time Passwords (OTP), and also supports Virtual Smart Cards hosted on the mobile computer’s Trusted Platform Module (TPM). The Unified Remote Access role can be deployed on Server Core, which substantially improves the overall security of the solution by reducing the attack surface, while at the same time decreasing system downtime by reducing the number of updates required by the operating system. 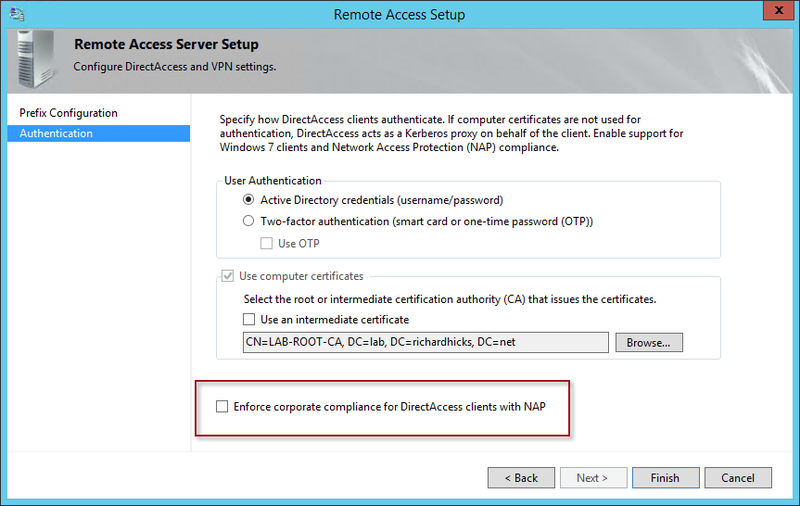 In addition, a new feature of the Windows 8 client prompts the user for network credentials, if necessary, to facilitate remote corporate network connectivity when the DirectAccess client is located behind an authenticating proxy. As you can see, there are many new and exciting features and capabilities included in the new Unified Remote Access role on Windows Server 2012. Many of these features will greatly simplify the configuration, deployment, and management of remote access and DirectAccess. Also, many of the new capabilities provided with Windows Server 2012 DirectAccess effectively eliminate the need to deploy Forefront Unified Access Gateway (UAG) 2010, making the overall solution less complex and more cost effective. Windows Server 2012 DirectAccess will provide support for Windows 7 Enterprise and Ultimate clients. However, Windows 8 Enterprise clients will be required to take full advantage of many of the new advanced features of Windows Server 2012 DirectAccess.